Drew Angerer/Getty ImagesAmazon’s Jeff Bezos. President Donald Trump is reportedly “obsessed” with taking down Amazon. Amazon has recently faced criticism on topics including gun control, employees’ working conditions, and its search for its second US headquarters,HQ2. It’s a reminder that not everyone living in HQ2 candidate cites will welcome the company with open arms. President Donald Trump is reportedly doubling down on his mission to take Amazon down. Trump is “obsessed” with the e-commerce giant, a source told Axios. The president apparently believes that Amazon has unfairly received prime tax benefits and preferential treatment from the US Postal Service, hurting brick-and-mortar retailers. The president hasn’t been quiet about his negative feelings towards Amazon. Trump has also repeatedly attacked The Washington Post, which is owned by Amazon CEO Jeff Bezos. The president claims the publication – which he once called the #AmazonWashingtonPost – peddles “fake news” and serves as a “tax shelter” for Amazon. David Ryder / Stringer / Getty ImagesAmazon’s Seattle headquarters. Trump isn’t the only American growing suspicious of Amazon. Grab Your Wallet, an online anti-Trump campaign, has been encouraging people to boycott Amazon until the e-commerce giant stops selling Trump-related products and running ads on the far-right website Breitbart News. The group redoubled calls to boycott Amazon after the company’s recent refusal to cut the NRA’s TV show from its streaming service. While Amazon has been applauded for its impressive benefits, the company has been criticised following reports of long hours and poor working conditions in warehouses. Some white-collar workers have described a brutal working environment where people cry at their desks after being pushed to their breaking point. Further, the search for a second headquarters has helped put a microscope on Amazon’s lobbying efforts and its impact on cities – and not everything that is coming into focus is pretty. While Amazon’s explosive growth has transformed Seattle, many residents say that the changes haven’t all been for the best. 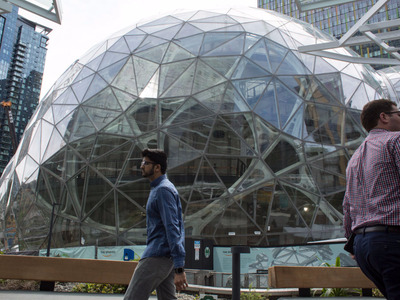 As more negative stories arise, some residents of HQ2 candidate cities are likely growing concerned about the less-than-positives outcomes of Amazon opening up shop. Rents are expected to increase, which could drive out longtime residents in favour of Amazon employees. Traffic is also predicted to explode. And, experts warn that hosting HQ2 may not provide the payoff that local businesses need. Amazon’s methods of picking its next headquarters are also raising some eyebrows. Cities across North America are pledging millions of dollars toward things like bullet trains and tax breaks if Amazon picks it as the site for HQ2. Philadelphia, for example, has spent $US245,000 on its HQ2 campaign, Philadelphia Weekly reported. The company has explicitly said that financial incentives will be one of the biggest factors it considers in making its HQ2 decision. Amazon says that HQ2 will bring 50,000 new jobs and that the company will invest $US5 billion in the construction of its new headquarters, so city and state governments are likely to see spending hundreds of thousands of dollars to attract the company as justifiable. But it still adds up to spending taxpayers’ money on trying to win over Amazon. Amazon is no longer a brand beloved by all, with critics ranging from economists to small business owners to the president of the United States. As city and state governments vie for HQ2, they’d be wise to remember that not everyone wants their tax dollars spent on buttering up Amazon.